These words sit perfectly on the shoulders of Mrs. Nalini Chandran, a lady who is fondly known as ‘Nalini Miss’ by her students, their parents and by her many admirers. At the young age of seventy seven, she refuses to sit back and put her feet up! For all her life she has been racing ahead of time, creating magic in the profession of teaching. 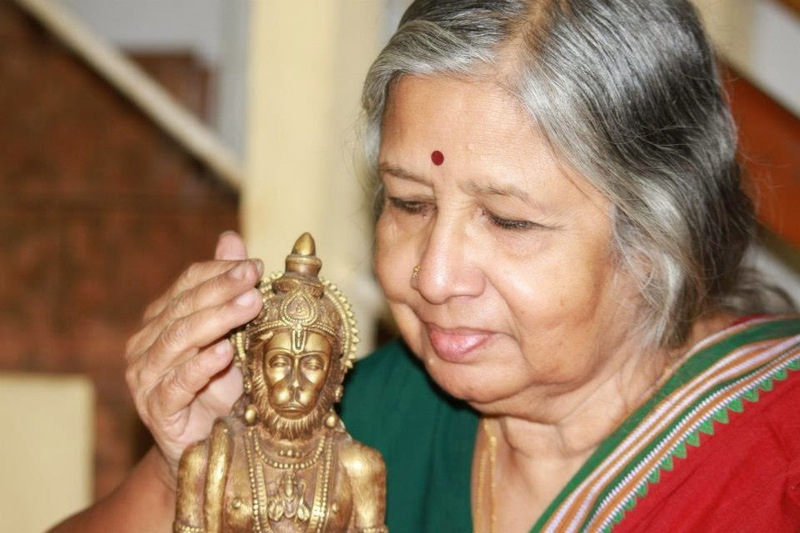 An exceptional educationist from a very early age, Nalini Chandran has lived a life most extraordinary, and still continues to do so, and she says that she owes all of it to her favourite deity, Hanuman, who has stood by her through thick and thin! Probably because she would have it no other way! Shirdi Sai Baba is another one to whom she turns whenever she needs a solution to a problem, and He never fails to rush to her aid either. Thousands of students have passed through her loving arms and have gone on to create niches for themselves the world over. For them, Nalini Miss is the person who held their tiny hands and walked along with them through their school years, whispering words of hope, chiding them when they slackened. She gambolled with them, acting out nursery rhymes, as they mimicked her every move, the mentor who smiled encouragingly when they did brilliantly, but smiled even brighter when they did something humane. She insisted that they speak in English when in school, and built up their self confidence through various co-curricular activities which made them hold up their heads against a competitive world outside. Her catchphrase when she caught them being naughty was always, “Woe betide you!” – a phrase that was bandied around whenever she was mentioned, and continues to be so, even today! For every student she is Nalini Miss, the special teacher whom they treasured deep within their hearts. especially when they won laurels and collected bouquets, when they met friends and talked about the good old ‘Hari Sri’ days. She represented the mother, the guru, the mentor, and above all, the friend, who could create magic in their lives. Today there are students who have blossomed forth, thriving in their careers and others who have created families in perfect love and harmony – in each of their hearts there is one little corner in which Nalini Miss reigns! A young Army wife, Nalini stood out wherever she taught, as students sat, riveted to the way in which she made Shakespeare and History come alive through her dramatic skills. 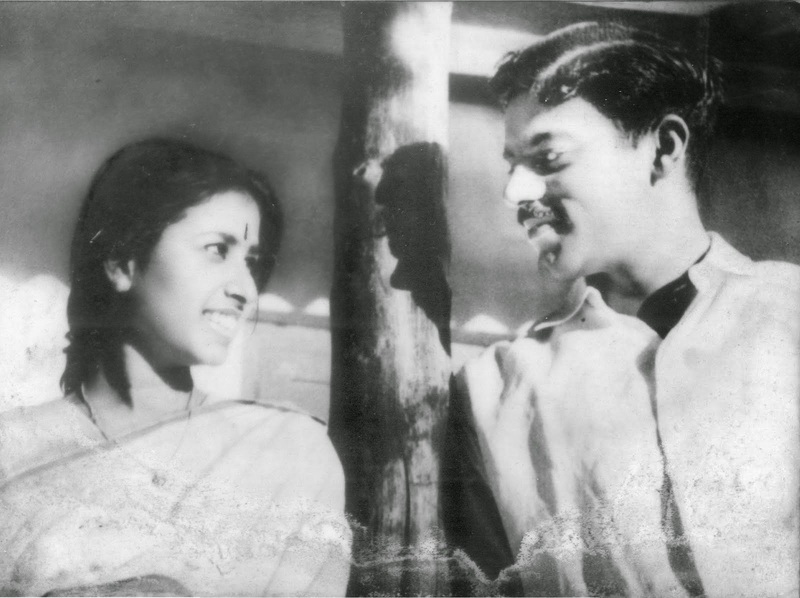 Her talents were numerous, as she directed English plays and choreographed exquisite dance items, having learnt Kathakali for seven years, when young. She was at her ease, whether it was doing an item for the School Annual function or a mass drill for The Annual Sports Day. And with every year that she spent teaching, she honed her skills, as she moved from school to school every time her husband was posted to a new place. One of the incidents she loved relating was about when she once walked into a classroom as a new teacher. The senior girls were waiting to rag her, a feat that they were very good at. However, before their amazed eyes, she gave no one a chance to react, and launched into the opening scene of Macbeth, one of her favourite plays. As the girls sat in petrified silence she acted out the parts of the three witches, making the scene come alive before their very eyes, till the last menacing cackle which made their hair stand on end. They instantly turned into her most ardent fans. “That was the hardest piece of acting ever!” she later said. 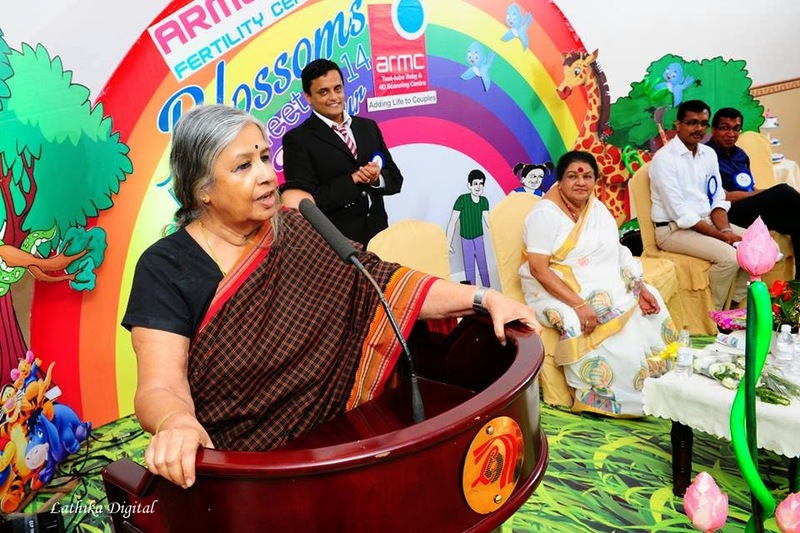 When her husband decided to take premature retirement from the Indian Army, he persuaded her to start a school of her own – a school in the tiny town of Thrissur in Kerala, a school which he named Hari Sri, a name so meaningful in that it is the first two words a child is made to write when he or she writes for the first time. A name that was to prove fateful as, the very next year, her beloved husband passed away after a massive cardiac arrest, leaving her with three young daughters. This was the Hari Sri of a new life, and she was just 39 years old in a strange town that looked askance at young widows. This was when Nalini realized that her work could bring her solace and she went on with fortitude, moulding Hari Sri with patience, working relentlessly to make it the best in the city, pouring into it all the wonderful skills that she had picked up over the decades. Hari Sri Vidya Nidhi was soon a well known ICSE-ISC school, a power to be reckoned with across the country, winning medals and laurels with much ease. While Academics was given importance, students were encouraged to take part in Co-curricular activities and Sports, all of which were blended beautifully with the spirit of sportsmanship and fair play. All religions were treated alike, and one inspiring slogan that was oft repeated was ‘May the Peal of Harmony be the Appeal of all Religions.’ “I want my students to be citizens of the world!” she often declared. Juggling academics and co curricular activities was what she did with elan, but even more important were the core values that she wanted ingrained in her students – respect to elders, honesty to the core, etiquette and an ability to stand out for all the right reasons, the so called soft skills that are all so vital today. Her amazing sense of humour and her outspokenness were also traits she shared with people, traits she loved to see in people around her. Talking straight from the heart! Among the numerous awards that have their pride of place on her mantelplace, including the Rangojwala and the Guruvar Awards for Excellence of Teaching, the Kerala Sangeet Nataka Akademi Award for 2013 was conferred upon her for Excellence in Choreography, in recognition of her artistic and dramatic abilities, that blended in seamlessly with her academic prowess to make her a truly enlightened educationist. The fact that around ten Principals around Thrissur have been trained by her only goes to show how generously she gives of herself and her talents to inspire others. One of her first major shows in the mid 80s was the Ramayana, a beautiful potpourri that combined dance, drama, music and dialogue. Her Sri Rama was only eight years old. The show was staged in different venues and was also aired on Doordarshan. Over the years many wonderful shows were put up, shows that showcased culture, religion, and the fine arts. 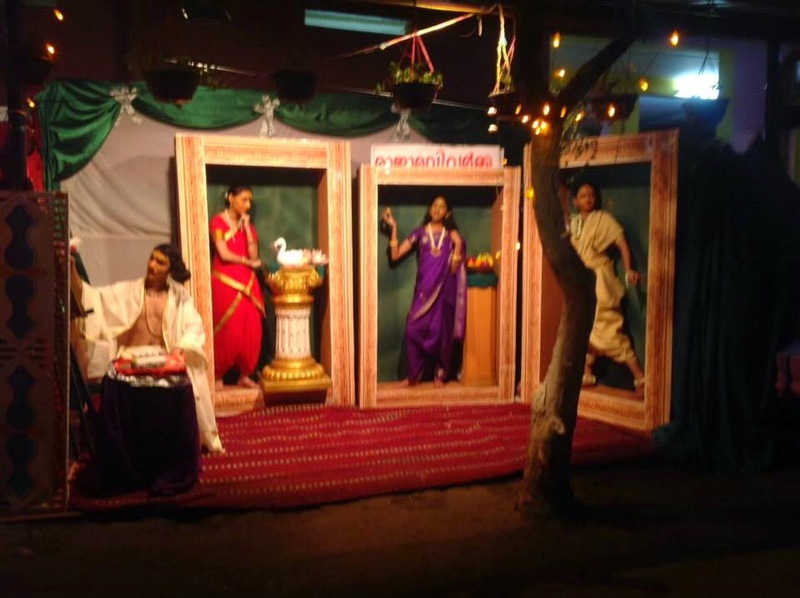 Her latest show in January this year was a programme on Kerala history that had myriad tableaux from significant scenes from the history of Kerala – an extravaganza that brought the school, and the formidable lady at its helm much acclaim. 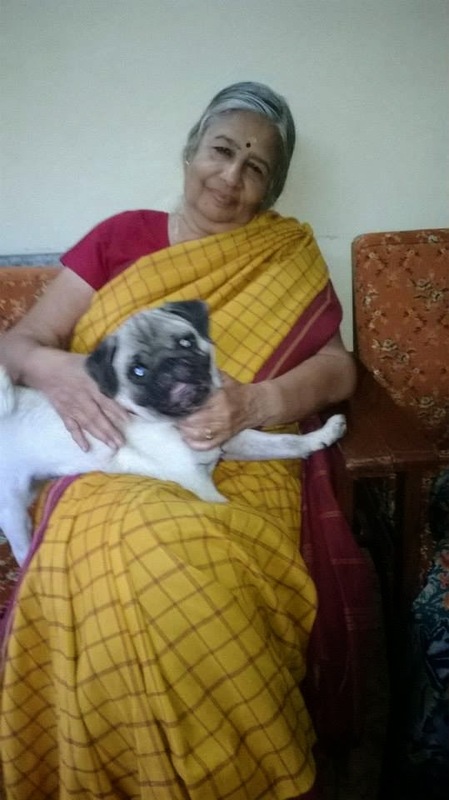 However, Nalini feels that her greatest trophies are the visits of her students, the mails and phone calls she receives from them and the emotions they evoke within her heart through their outpourings of love and gratitude. “I have learnt so much from my students!” she loves to say. She enjoys Facebook where she can browse to her heart’s content, looking with pride on the achievements of her young ones, and where she can post positive messages along with a healthy dose of the inimitable humour through which she views life. Whatever the case, life is never dull when she is around, and maybe, that is exactly why her repertoire overflows with life experiences that could fill reams of paper. 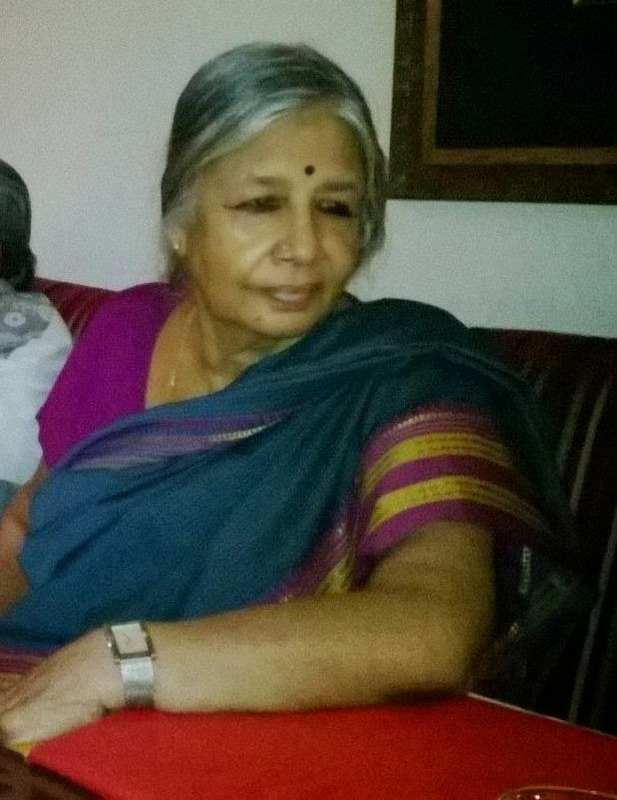 She has faced tragedy and travails with strength and stoicism, and on one occasion when she found herself totally defenceless, the citizens of Thrissur, most of whom included the parents of the children she had nurtured, along with many eminent personalities, stood firmly behind her, ensuring that she carried on shining like the star she is, a star unaware of her own lustre, a fact that endears her to many! Thus, Nalini Miss carries on doing what she loves – providing light and learning to young ones, teaching them not just English, Maths and Science, but how to sit, stand, eat and behave as well! It is wonderful to see their little faces light up at the sight of Nalini Valiamma, for that is what the younger lot call her, even as they look forward to a little pat from her or a positive comment on their notebooks! And her band of teachers work together with her very diligently, for they know how precious is the clay they have been given to work with! The ne’er say die spirit of the Principal goes a long way, and it is easy to see what Emerson meant when he said, “An institution is the lengthened shadow of one man.” Or woman! This true story is written by Chennai based writer/author DEEPTI MENON, we are very proud to have her here on Incredible Women Of India. This article first appeared on her blog, here’s the link to the original article. 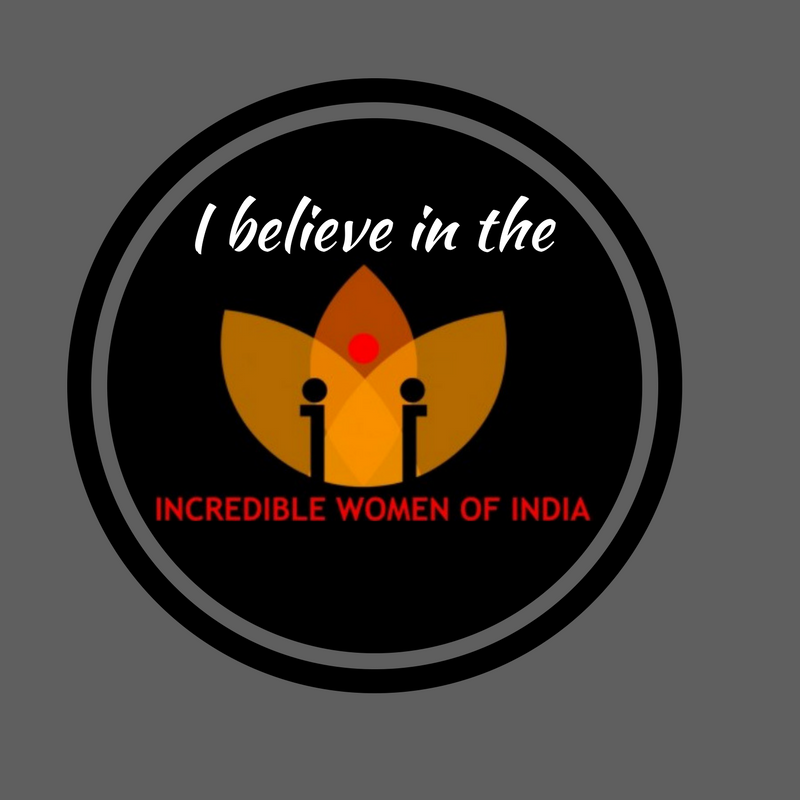 Article Edited for Incredible Woman Of India: Rhiti Bose. 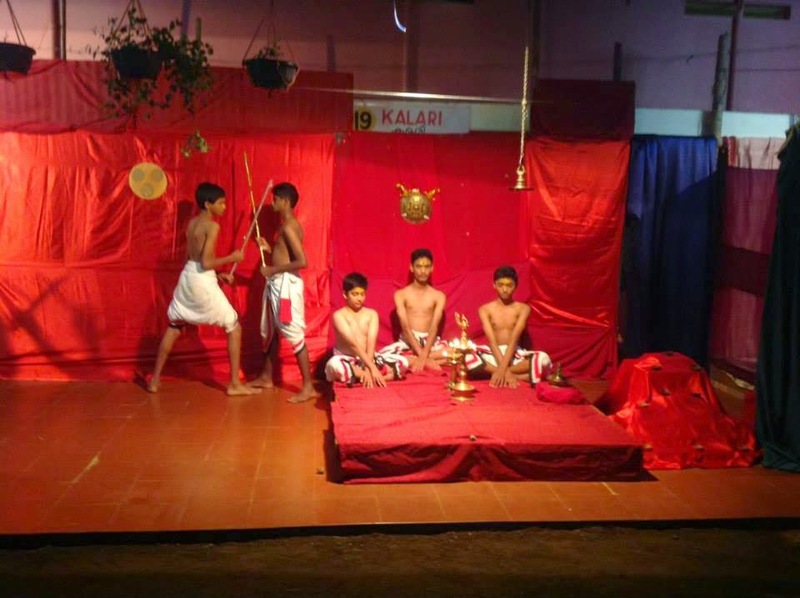 “Prathyaksha Daivam ” –That is Nalini miss for us. It is her encouraging words which made me and my mom to survive from my dad”s sudden unexpected death. Not a single day passing without her support……. 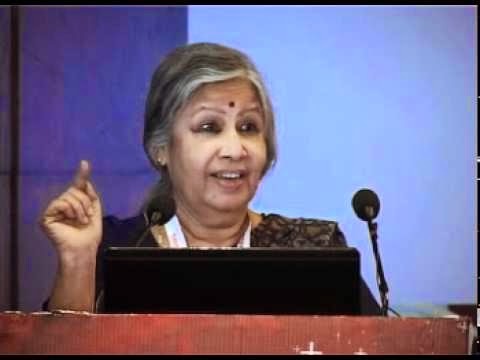 Hi — quick question.. was Nalini mam any time associated with St. Aloysius school in Vizag? I take a bow in front of this GREAT teacher !! I have heard sooo much about her from Ambika, my niece, and my sister, Malini . Wish I had worked under her and gained more tips as a teacher . For a widow at 39, to rise above the tragedy and reign supreme in TRICHUR is no small matter !!! She reminds me of the protagonist in the book ‘A Woman of Substance’ by Barbara Taylor Bradford . May she continue to inspire people like me and the younger generation..
നളിനി മാമിനെ പരിചയപ്പെടുന്നത് ശോഭ അക്കാദമിയില്‍ വെച്ച് അവിടത്തെ Director ആയിരിക്കുന്ന സമയത്ത്. മാമിന്‍റെ ചിട്ടയായിട്ടുള്ള പഠിപ്പിക്കാനുള്ള ശൈലിയും പ്രവര്‍ത്തന രീതിയും അതിന്‍റെ കൂടെ കലയെ പ്രോത്സാഹിപ്പിക്കലും എല്ലാം ഒരു പ്രത്യേകത നിറഞ്ഞതായിരുന്നു…മാമിന്‍റെ കൂടെ ജോലി ചെയ്യുന്പോള്‍ ഒരു ഉന്മേഷവും ചിന്തിപ്പിക്കുവാനുള്ള പ്രചോതനവും ഉണ്ടായിരുന്നു. എല്ലാവരും നളിനി മാമിന്‍റെ ശൈലികള്‍ ഉള്‍ക്കൊള്ളുവാന്‍ ശ്രമിച്ചിരുന്നു. ദേഷ്യം വരുന്പോള്‍ മാമിന്‍റെ മുഖത്തിന്‍റെ ഭാവം ഉള്‍ക്കൊള്ളുവാന്‍ ബുദ്ധിമുട്ടാണ് പക്ഷെ ആ ദേഷ്യം കാര്യം നല്ല രീതിയില്‍ എത്തിക്കാനുള്ള നമ്മുടെ ശേഷിയെ ഉണര്‍ത്തലുംകൂടിയാണ് എന്ന് പിന്നീടാണ് മനസ്സിലാവുക… മാമി കുറിച്ച് പറയുവാന്‍ തുടങ്ങിയാല്‍ കുറേ ഉണ്ട് വിശേഷങ്ങള്‍ എന്തായാലും നളിനി മിസ്സ് തന്നെയാണ് Incredible Women of India എന്ന് എന്‍റെ മനസ്സ് പറയുന്നു… എല്ലാവരും നളിനി മാമിന് വോട്ടു ചെയ്യണേ Please.. Very proud to be part of her family. Truly an amazing person. Really grateful to Nalini Miss for providing a strong foundation in my school years. Thank u soo much Nalini Miss. Dr. Gopinath, thank you so much for the generous comment! I am sure she will be gratified to see it! Thanks for reminding me of the good old days that I have spent at “Hari Sri”. Thank you so much, Vandana! My pleasure!